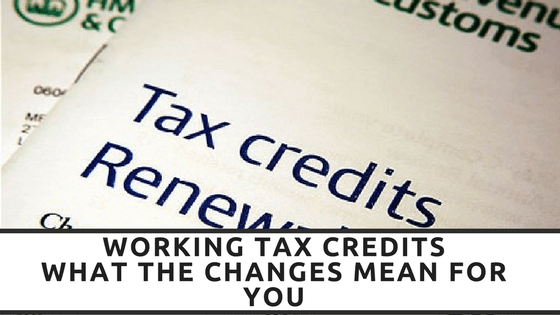 The changes to Working Tax Credits and what it means for those self-employed. Many self-employed individuals have been receiving a letter similar stating changes in Working Tax Credits eligibility, and worrying about the impact it may have on themselves. We rung the Tax Office and asked them several questions making it clear to them the implications this may have for many businesses. We were advised the changes were due to an increasing number of individuals making claims of self-employment to increase their benefit income rather than genuinely working. This unfortunately has created the need to tighten the assessment on Working Tax Credits for those genuinely trying to make a living for themselves. It is a case of tightening up the business records kept, even things such as keeping record of networking minutes and track of the hours worked where no invoices are raised or products sold. Hence the letter’s use of commercial basis which is purely a business that is trading and can prove it. The largest worry is the qualifying aspect of making a profit. I have been advised that if you do not make a profit the easiest way to show you make a profit is to have a business plan in place that shows your aim to make a profit. The business plan has to be up to date and ideally renewed every year to keep it up to date. If you are one of the many business owners who do not have a business plan now is the best time to create one, RedRite used a business plan model provided by Pinnacle People and can provide a copy to anyone interested just email us, or you can use one provided HERE . We can certainly help you write your plan if you are still unsure. Many businesses work on an ad-hoc basis, in other words they are not guaranteed work every day on a regular basis. Such as RedRite, we only receive income for the hours worked on a client’s project and this is not consistent however we do spend a lot of unpaid time taking care of our own needs, such as social media posts, blog posts, accountants and even our networking meetings. It has been suggested that an average amount of hours necessary for these tasks be recorded weekly and kept track of even if it is in a basic diary then when requested for the information it can be provided. In concern with networking meetings, or any other meetings you partake of, the Tax office has requested these be treated as business meetings with a record made of a start and finish time, a list of attendees and if possible a few noted minutes of what happened within the meeting so that there is evidence of the meeting. This can easily be done within a spreadsheet and RedRite will provide a basic template to anyone interested. For those that are part of MLM companies or sell products of any kind the Tax office has said in order to keep track of the trading taking place if you do not already track all orders (The date the order placed, the buyer if possible and the value of the order) then it is best to do so, once again a simple spreadsheet is all it takes if you do not have any other form of recording the sales. If you receive payment through PayPal keeping proof of these payments and linking it to the order placed is also necessary. Another way of proving your business is trading is through copy of the adverts your place, this does not mean every single post on social media or other outlets but keeping copy of receipts from paid advertising and keeping an average record of how many purely advertising posts made in a week/month will help support this. We posted recently on our social media about keeping track of income and expenditure and how no business is too small to use basic book keeping tracking, these new changes in Working Tax Credits solidifies the need to keep extensive records of all transaction within your business. Here at RedRite we use a very basic yet detailed software that is free to use and are here to help people get set up on this software themselves. It allows you the facilities to track all income including product sales, track all purchase payments even keeping copy of invoices and then to run profit and loss statements or other financial sheets. We hope this helps settle some issues the letters have raised but if you still have questions then please do give us a shout and we will try to answer as many questions as possible.